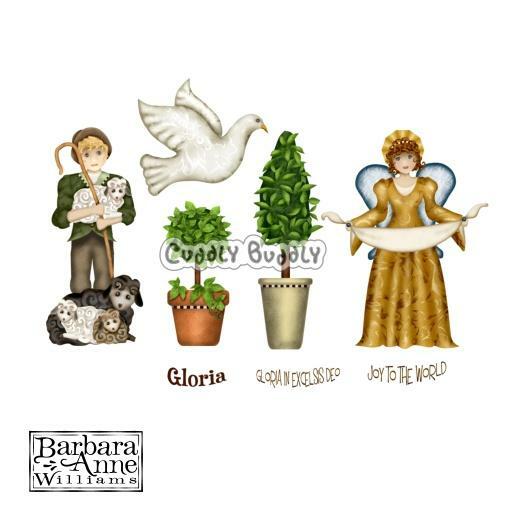 Nativity Two by Barbara Anne Williams coordinates with the Nativity collection and includes a shepherd boy, traditional Christmas greenery (Ivy and Laurel), a dove, and a lovely angel. Also included are three word images for the angel's banner. These images are perfect for cards, tags, and any holiday project! This full color collection features transparent backgrounds making it easy to use in all of your projects! Five high quality .png images and three word images in an instant download zipped folder.